Every mom and dad knows how quickly your errands can pile up. When you’re running around picking up kids, finishing work and going grocery shopping, cleaning your bathroom is probably at the back of your mind. And the last thing you want to go home to is a messy kitchen. That’s where we come in. At All Star Cleaning Services, we want to make sure that cleaning your house is at the bottom of your to-do list and at the top of ours. We offer guilt-free, room-specific cleaning services that let you get back to your busy schedule. We’re ready to bring our professional room cleaning services to your Fort Collins home. Our mission is simple—to connect with each of our clients and their homes. We work hard to create a positive relationship with each of our clients, which allows us to improve your life and your home. 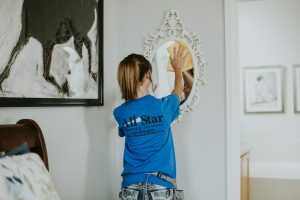 Each of our All Star Cleaning Services cleaning technicians understands the hard work you put into your life and family. That’s why we’ll work even harder to make your life a little easier. Misc. : empty wastebaskets, as well straightening and tidying as we go. We also do services upon request, such as cleaning dishes, folding laundry and changing bed sheets. Isn’t time you get your life back? We definitely think it is. Our affordable room cleaning services will give you the benefits of a clean home without the hassle. 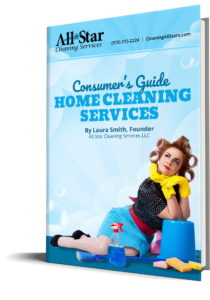 Call All Star Cleaning Services today at 970-215-2224 to learn more.